If you are missing teeth, dental implants from Freedom Dental Melbourne can restore your ability to chew and smile . Our team of committed dentists can work with you to assess your situation and develop a treatment plan for you. It is important to consider all your treatment options when performing invasive dental procedures and to seek a second opinion. During your initial visit, our dentist will evaluate your bone and gum health. This is to determine the condition of your general and oral health, to enable you to be a good candidate for dental implants. Dental implants at Freedom Dental are now more affordable than ever before. At Freedom Dental, we know experience and affordability are important factors to our patients. Contact us for a free initial consultation. Why are dental implants helpful? The loss of even one tooth can seriously impact both the function of your bite and your appearance. Adjacent teeth can also be compromised by the gap left by a missing tooth, shift position or become more vulnerable to decay, chipping and cracking. Dental implant procedures have some of the highest rates of success of all dental restoration solutions. As a form of cosmetic dentistry, dental implants offer a permanent and proven solution to missing teeth. The implant process involves attaching a custom-made, artificial tooth to an anchor post surgically implanted in to the jaw bone. This post integrates into the bone, providing a firm anchor on which a natural-looking, custom-made tooth can be placed. They look, feel, and function just like real teeth. Click here for the frequently asked questions about dental implants. The restorations never decay. You will still need to maintain a good oral hygiene routine with regular brushing twice daily, flossing once a day and making six-monthly visits to the dentist. Dental implants help prevent the side effects of tooth loss — namely, gum recession, bone loss, and speech difficulties. They restore proper chewing and the full strength of your bite. Dental implants are comfortable and convenient as they function just like natural teeth. Unlike other dental restorations such as bridges, dental implants do not require the grinding down of the teeth on each side of the gap. Implant-retained dentures are more secure and reliable — say goodbye to messy adhesives and slipping, uncomfortable dentures! Because dental implants help to prevent bone loss, they preserve the appearance of your face and prevent sunken cheeks. 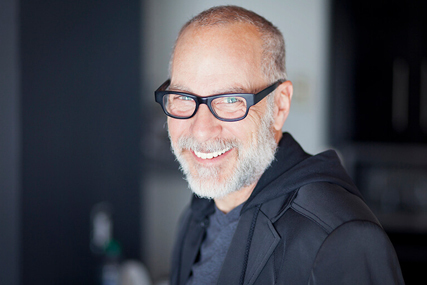 Click here to read more about how dental implants can be a investment in your smile. Our dedicated dental team can provide you the care and treatment you require. They will walk you through every step of the process, from initial planning to the final, permanent natural-looking restoration. After treatment, we will develop the best care plan for your oral care. They can also arrange a referral to a specialist should you require or request. Contact our concierge team can arrange an appointment. What happens when you get a dental implant? The first step for any implant is for your dental clinician to ensure you’re a good candidate for the procedure. If your jaw bone or general oral health aren’t strong enough to support the implant, you may need a bone graft to strengthen the area, or your dental clinician may suggest an alternative option such as a bridge. Assuming everything is in order for the implant, the work can begin. To start, your dental clinician will place an artificial root made from titanium into your jaw, then stitch the gum back together around it. In some cases, your dental clinician may also attach a post (called an abutment) to the root as well. Once this is complete, you will need a few months for the gum to properly heal around the root before the next step can be completed. 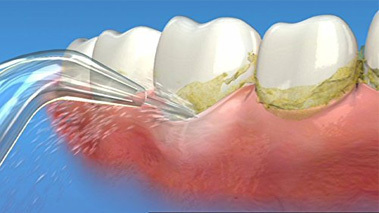 Once the gum is healed, your dental clinician can attach your new tooth. If an abutment was placed during the first procedure, the tooth can go straight on. If not, they will first add the abutment before fitting the tooth. Note that it can take more than one appointment to get the fit right for your mouth, as the tooth will need to look and feel natural, and sit well with the rest of your teeth and jaw. You can get several implants, but if there are three or more teeth missing, your dentist may suggest implants and bridges to fill the gap. In this case, implants will be inserted on either side, then a bridge will be placed between them. A bridge is a false tooth that is held in place by the teeth on either side of it. Initially, you will need to attend extra check up appointments during the first year to ensure the implant is settling in well and isn’t coming loose or causing any issues with your bite. After that, you will need to continue with a regular appointment schedule, during which your dentist will do an overall oral health check and keep an eye on the implant. At home, care for your implant in much the same way you would for any natural tooth. That is, twice daily brushing and flossing, as well as a diet that minimises sugary snacks and drinks. If you need any additional tips, your dentist will be sure to let you know after the procedure. 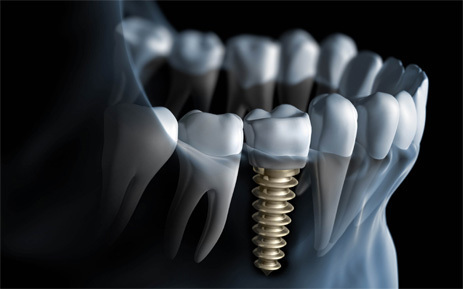 If you have a missing tooth and are looking for option to replace it, a dental implant could be a good choice for you. Talk to your dentist about whether this procedure may be suitable and how to go about making it happen. Please note that these costs are for a single tooth implant and crown, and are not inclusive of the consult fees, or any other required radiographs, as determined by your treating dentist. The category you may need will be decided by the treating team of dentists and will be based on factors including but not limited to medical history, site of implant, adequacy of bone in the area and requirement of bone grafting. The type best suited for your clinical situation will be determined by surgeon and restoring provider, we will absolutely provide you with all the choices available within the realm of clinical condition as our aim is to provide the best treatment for your individual clinical requirements. Simple category: Bluesky Bio Implant system used. Molar area implant with adequate bone density may be an example of simple category. Advanced category: Advanced and complex categories will use implants from Mis /Straumann /Astra/3I/ Ankylos/ Nobel Biocare/Neos Implant systems (based on clinical requirement). Front tooth implant with reduced bone availability may be an example of advanced category. Complex category: Front tooth/molar implant with inadequate bone, requiring bone grafting may be an example of complex category. (bone grafting costs included). Prices for dental implants and crowns may be subject to change without notice. A written quote will be guaranteed for 6 months from the date of the quote. Warranty terms and conditions will be discussed during time of information session. Freedom Dental are a general dental practice. We can arrange a referral to a specialist at your request or if it is deemed suitable. A second opinion is recommended for all procedures which carry risk or are invasive.